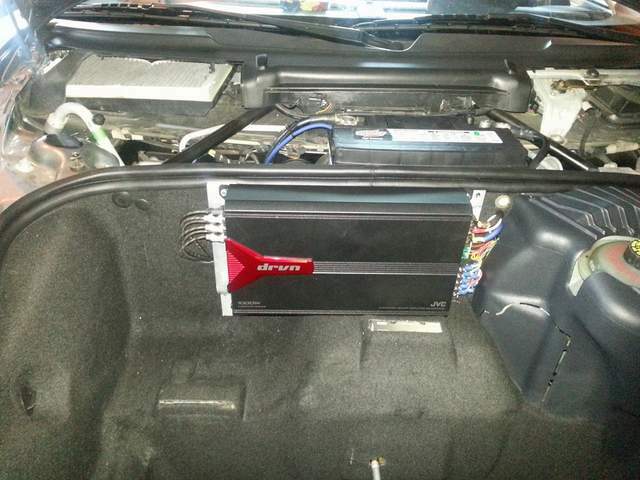 Best way to wire an amp in the frunk? I haven't had time to poke around the girlfriend's '03 enough to find a way to wire two RCA cables and a remote turn on for an amp mounted in the stock location. I've already made an adapter that will plug into the stock harness for the speakers, power and ground will be pulled from the battery. Can someone point me to the best place to route the cabling? Through a factory grommet or plug would be preferred. 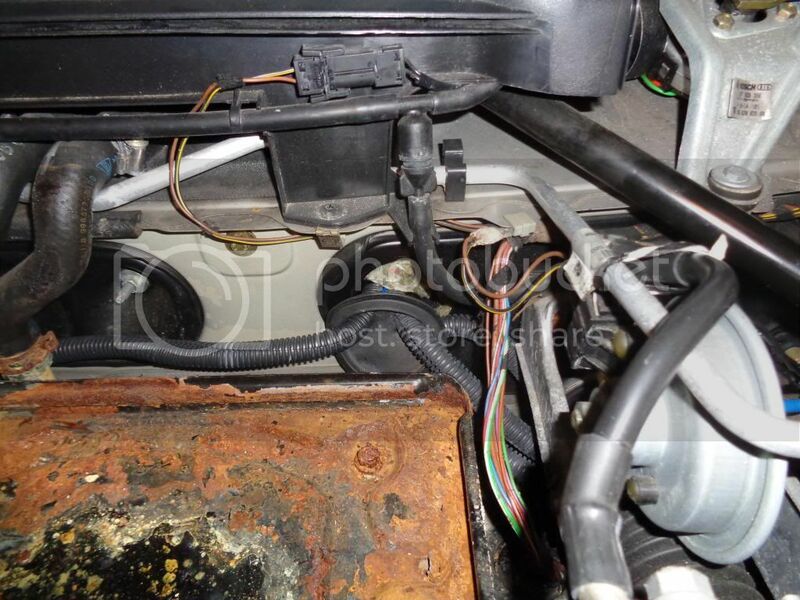 use rubber plug a few inches above accelerator pedal / behind battery in frunk. Specific location / image can be found in many posts here referencing rear speaker kit install. I did attempt to search, but found only frunk-mounted subwoofers, stereo installs without aftermarket amps, and lots of speaker upgrades. After I posed this question here, I did find something with some extensive googling that described the location you suggested. Thanks for your help, I'll update this thread with pictures for future searches. Last edited by thatguychad; 04-13-2016 at 06:30 AM.